Canol Outfitters spans over 11,000 square miles in the heart of the Mackenzie Mountains. We offer hunts for Dall Sheep, Yukon Alaskan moose, and mountain caribou in some of the most remote and beautiful regions of Canada's Northwest Territories. Our base camp is located 75 miles south of the Arctic Circle along the Canol Heritage Trail. The area boasts a challenging yet rewarding hunting experience, with 9000 ft peaks, fast flowing rivers and abundant game. 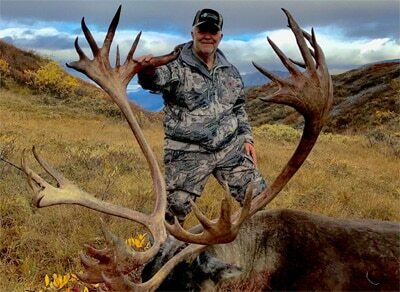 This exclusive hunting territory has a long history of producing trophy animals, the first outfitted hunts dating back as far as 1965. Canol Outfitters is a long-standing hunting concession, and is owned by local groups from the Sahtu. We are excited to continue on their traditions and will work tirelessly to demonstrate a level of expertise, professionalism and service that ranks as the best in the industry. We offer ten day, single species or multi species backpack hunts starting July 15 and running through to late September. Stay tuned for our winter schedule and late winter hunts. We also welcome non hunters to join in our wilderness experience, we can offer helicopter drops or moves to get you what you need and where you need to be for your adventure. We pride ourselves in offering a team of experienced and knowledgeable guides to help you achieve all your hunting goals. Our team is led by Outfitter and Guide Glenda Groat to help create a unique and memorable experience for each of our clients. Canol Outfitters is the largest area in the Mackenzie Mountains spanning over 11,000 square miles, our R44 helicopter helps for easy access to even our most remote of locations. It also helps us to effectively manage our area and hunt a wide expanse of the area each year. Our Backpack hunts allow for the most possible hunting time on each hunt. You can cover the mountains by day and sleep with the sheep by night. After harvesting your game you will be brought back to our base camp with rustic cabins and wood heat where you can enjoy delicious meals home cooked and prepared for you with the game you harvested. She will answer all your questions and help you book the trip of a lifetime! Dates are limited and spots are held upon first deposit. Once you have reserved your spot, hunt packages will be sent out that include everything you need to know. This includes travel arrangements, licencing and tags gear list, and export permits for your game. Once you have arrived in the North West Territories, let us take care of you! You will be met at the airport and brought to a chartered flight into our Base camp, where the adventure begins! At the end of the trip we return you to the airport to begin your journey back to the hustle and bustle of real life. Our team of guides will field dress, cape, and salt your hides to prepare for transport. You can either come prepared to take your trophy with you, or we can arrange an exporter to ship and crate your trophies directly to the taxidermist of your choice. 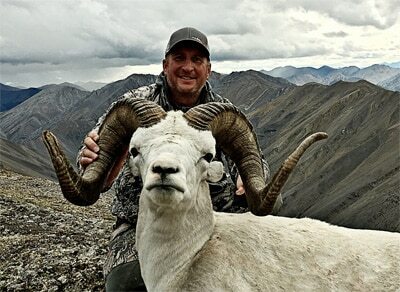 I was fortunate enough to hunt Dall Sheep in the inaugural season of Canol Outfitters. Not only was I able to connect on a beautiful ram with the help of my guide Nathan, but it happened to be the first one for Canol. This hunt of a lifetime quickly turned into an experience of a lifetime, as I arrived a client and left as a friend. The hardest part about this hunt was leaving! Glenda, Glen & their staff were all first class, and I really can't thank them enough. I will, without a doubt, be back! Over the years we have been fortunate enough to travel to some of the most amazing places in the world but we would have to say this was by far one of our favorite stops! Canol Outfitters you guys & gals are top notch! The memories made on this hunt will forever be etched in our minds. These mountains show you what you're made of, and making it to the top is worth every step! My 2017 hunt with Canol Outfitters was nothing short of extraordinary! Glenda along with her husband Glen took on the task of running the outfit, what a great choice! The atmosphere in camp was enjoyable with a very cordial and accommodating crew. The guides were all experienced and very competent, including Glenda and Glen. I was archery hunting sheep and although not successful with my bow, we had multiple close enchounters with exceptional rams. At the end of the hunt I took a heavy-broomed 14 year old ram with a rifle. Congratulations to Glenda and the entire Canol crew! Keep up the good work and I look forward to next time! Reserve your spot for the hunt of a lifetime. 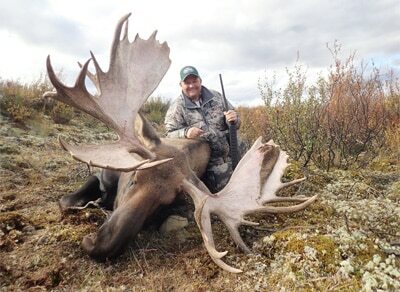 Canol Outfitter's Hunts are guaranteed to be a highlight of your decade!